Dark gray color. Sold by set of 6. Youth/child/kids size. 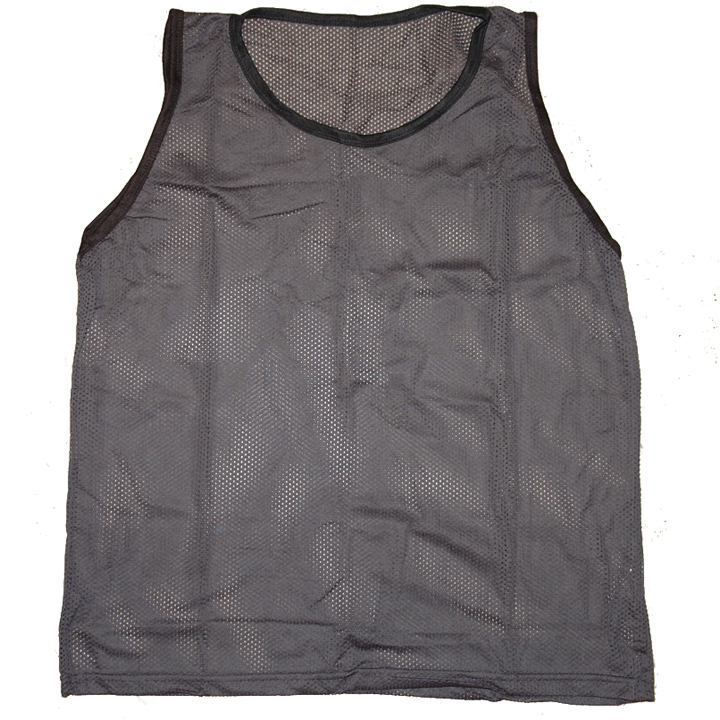 Dimensions laying flat: 22"L x 18"W. Breathable, stretchable mesh material (100% polyester). 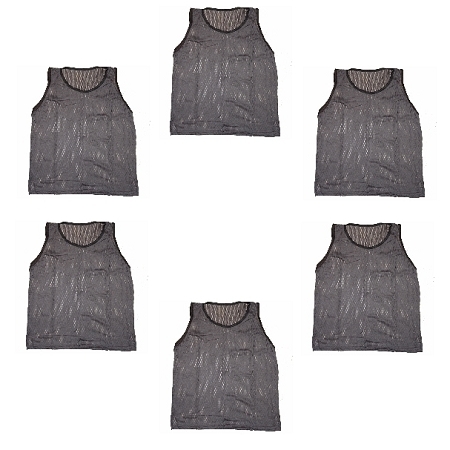 Ideal for soccer, lacrosse, scrimmage games, basketball, football, etc.